Welcome Baby P’s first birthday session to the Canton Ohio photographer blog! Oh goodness, this little lady was just so full of personality! I loved meeting her and her sweet family- it really is the best part of what I do! 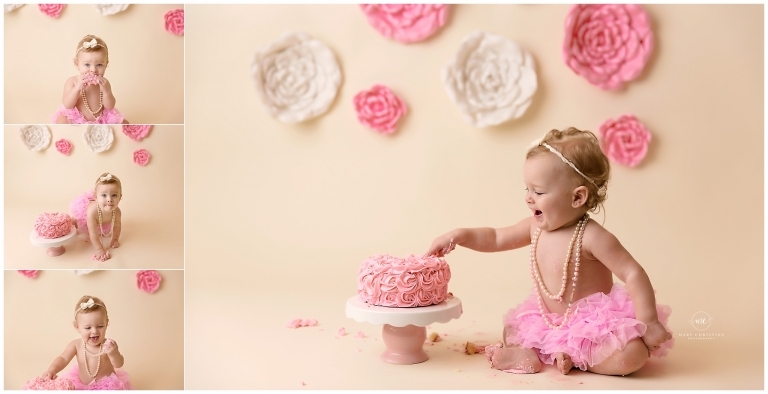 Baby P’s momma requested pearls and a pink tutu for her cake smash session. I love her reaction to her cake from A Cupcake A Day! Who does not love cake? And a whole one just to myself? Yes please! She really dug in and got a great variety of photos from this set. I love watching how babies dig in and react to the cake! We did some family photos as well for baby girl’s first birthday. 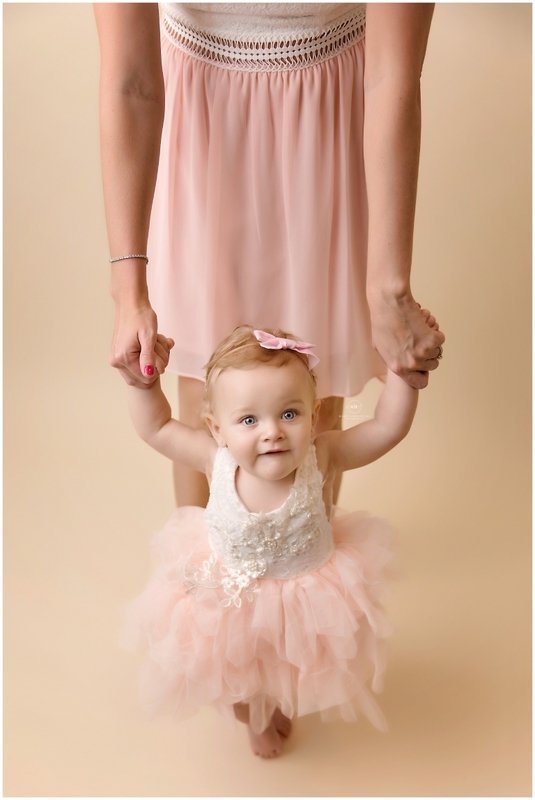 How sweet is this tiny dancer with her momma? I love photos that show perspective on how tiny they are. And what better way to show that than with mom and dad? Baby girl loved to dance and had all the moves! She was boogying on down with the music, her facial expressions are absolutely priceless! 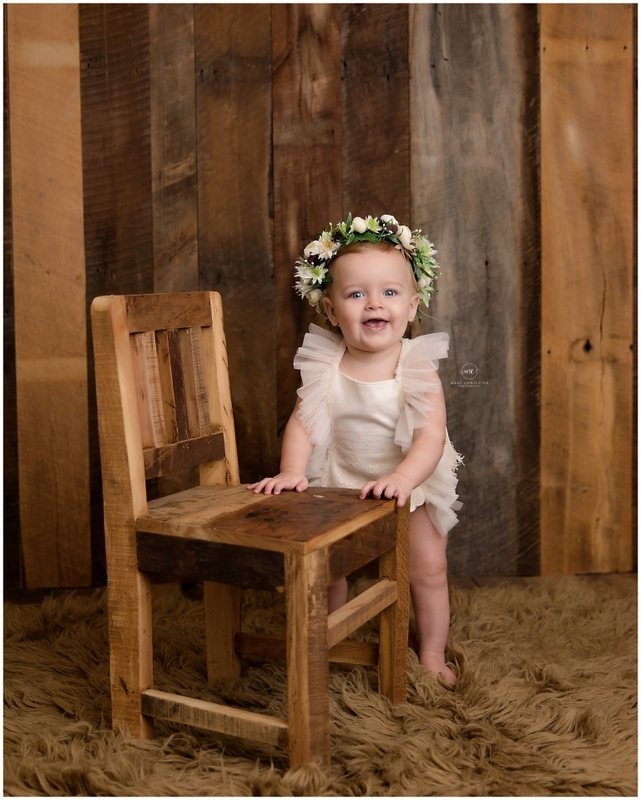 How adorable is she in this romper from Baby Bliss Props? Did you know that all of the outfits are provided for your photography session? It is true, all you need to bring is your baby! Thank you so much for stopping by the blog! Is your little one turning one soon? Looking for a Canton Ohio photographer? I would love to help celebrate their first birthday with a photography session! Cake smashes are the perfect way to celebrate the first year and can be done in studio or outside. Currently, I am booking June, July, and August, so please do not delay if you are interested. Spots go quickly and only a limited number are scheduled each month.